Don't miss out on this beautiful three bedroom two and a half bath home on a finished basement on a Cul-de-sac lot. This move in ready home has all the work done for you including new paint, new exterior door leading to the freshly stained deck and fenced in yard. The kitchen appliances including the newer refrigerator stay. The washer and dryer are negotiable. The large basement offers plenty of room as well as its own half bath. The first floor master offers a nice bathroom leading to a large walk in closet. Upstairs you'll find two more nice sized bedrooms with another full bath. 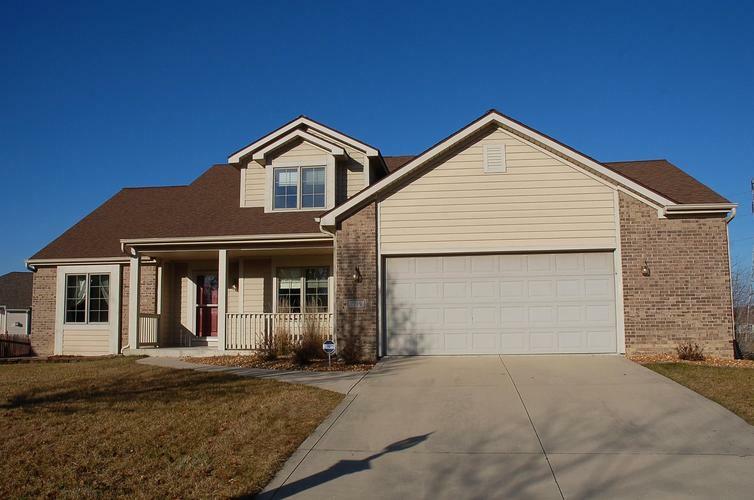 This home is close to shopping, 469 and IPFW. Directions:Lahmeyer to Shady Lane. Right on Harmony Lane to Sandyridge Place. HOme in Cul-de-sac on left.